On Sunday I ran/walked/hobbled the Greatest Half Marathon in the World. Being from Newcastle ever since I can remember there’s been a huge excitement around Great North Run weekends. 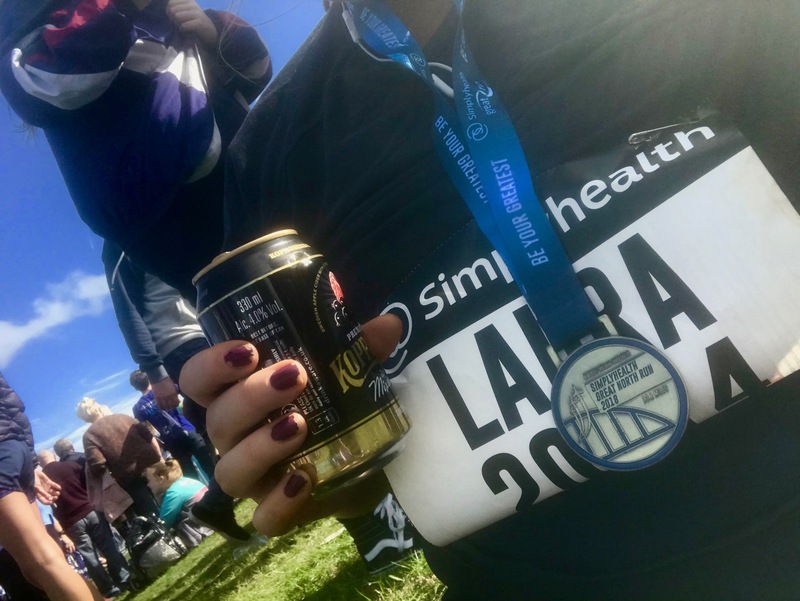 It was in 2014 when I completed my first Great North Run and subsequently, every year since have longed to return to the 13.1mile route from Newcastle to South Shields. I am a novice runner. I just the word novice in every sense of the word. So for all of those who are looking to complete a half marathon as a fun runner then here are my 5 top tips. It’s a silly thing to say. A really obviously silly thing. I, however, know this first hand. I have a pair of running trainers that I walk the dog in, run in, wear to the gym and spinning classes in. They are comfortable and have been designed to wear without socks. Yeah, wear without socks unless it’s a scorching hot day and you’re running 13.1miles. Just after the second mile (where I was running at a pace of finishing in 2h05m) my feet started to shred against my shoes. Really not ideal at all. Especially so early on. This really is a sport of thinking about all eventualities. Once you’ve got your socks and shoe combo nailed then make sure you properly break them in. Again an obvious one. Training is monumental. I wasn’t alone in saying that I didn’t train half as much as I should have done. Yeah, I was at the gym 4-5 times a week doing circuits, spinning and weight lifting but what I wasn’t doing is outdoor road running. That’s the biggest takeaway from the whole experience. Must train harder. 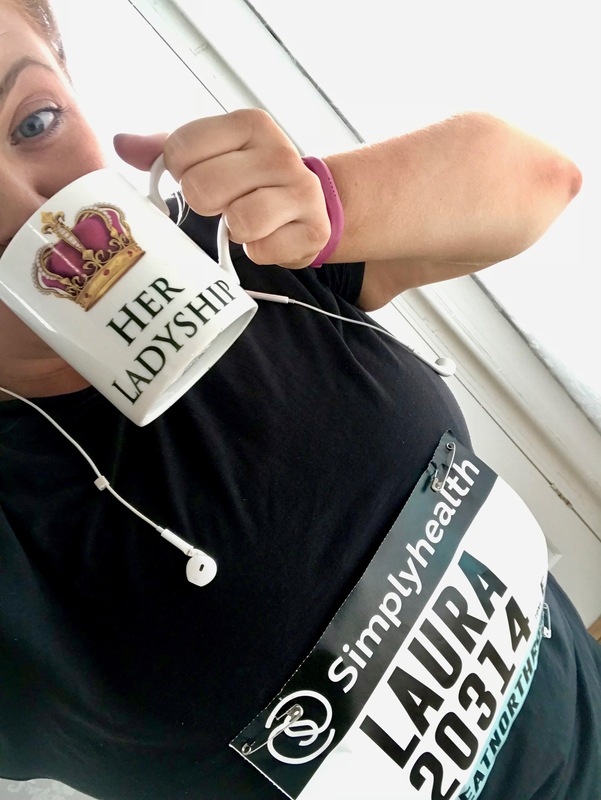 I highly recommend if you’re from the North East and looking to run the 2019 Great North Run on Sunday 8th September then you run the route (or part of) at least once or twice in your training as the inclines really do get you. Failing that if you’re not local get used to running on different gradient terrains as this route is not a flat one. Also, be prepared for the downward hill at the pub when you see the sea before the final mile. That’s where you’ll get some serious kinaesthetic energy building in those tired legs. Again no expert, but if you’ve committed to doing the Great North Run or any other half marathon then make sure you start training as soon as possible. I’m going back with a bang on Saturday by running my first Park Run 5k to ease me back in. Since then my training programme will be as follows. 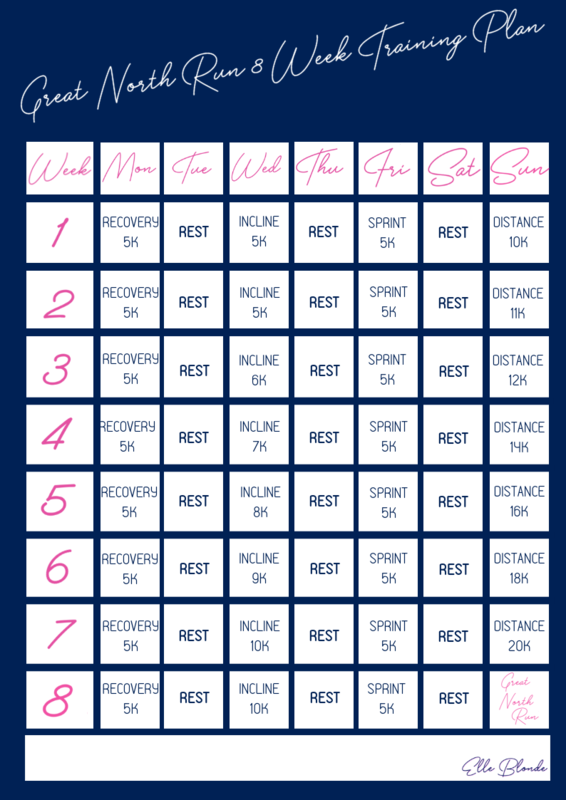 From August until the actual Great North Run on 8th September I’ll be following this 8 week, half marathon preparation training plan in the hope of achieving a time of 1.55-2.05. The Great North Run is not just 13.1miles it’s so much more than that and I’m pretty sure your half marathon will be that too. If you’re running in Newcastle I highly suggest coming for the Saturday along the Quayside too. 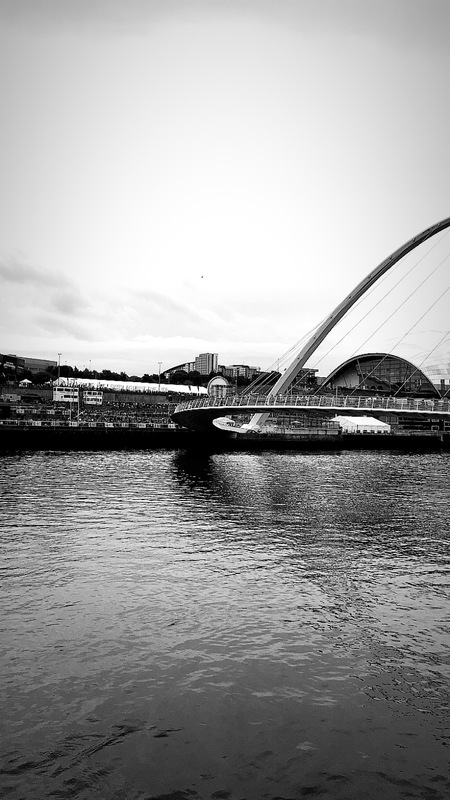 With a full day of the Great North City Games, the Kid’s Great North Run, the annual pre-run pasta party and lots of entertainment the atmosphere is totally buzzing and the city’s quayside is electric with music, sport and excitement for race day. The city has hundreds of hotels to stay at and I’d recommend booking rooms as soon as you commit to doing the run as these do get booked up quickly. Check out availability and prices below. We also boast the best restaurants and bars too (not that I’m biased) but most of the restaurants, especially those with a high carb menu, tend to muscle in on the run and offer some great pre-run deals. On race day the atmosphere is spine-tingling, hair-raising and goosebump giving. From the minute you walk down to the start line, to the beginning of the race and the music blaring across the city to the Red Arrows flying over the Tyne Bridge. It really is a massively overwhelming experience. A one that adds to my pride of being from the North East. Unless you’ve run it, I can’t really describe the feeling. It makes me emotional thinking about 50,000 people of all abilities, walks of life, ages, sexes and genders all with different reasons taking to the streets of my home city to run, walk, jog or roll to raise money for charities. To remember loved ones. To do their bit. The atmosphere at the finish line (and the longest 800m of your life) are just as electric as the start line. With people all along the route shouting and screaming your name and offering words of encouragement. As you run through the route people line the streets offering runners oranges, jelly babies, ice creams and even so much as a high five to keep you going. People you don’t know, showing pride in you, offering you our Northern hospitality as you make your way to the seafront in South Shields to a carnival atmosphere. It’s something you can only and should only experience for yourself! 13.1 miles is a distance. That’s over 26,000 steps. Just over 21km. It’s no mean feat. So when I say pack a run kit, I mean it. A little pouch or a pocket will do. Make sure you’re armed with plasters. I recommend Compeed all the way. After this year’s disastrous shoe shredding incident they have been a lifesaver this week. As the medical tents can’t issue these and just your basic plaster I do recommend taking some just in case. Secondly, include a little bit of cash, just in case. I always pop a £10 note in the back of my phone case just in case I need it for emergencies (and for getting a post-run pint!). Finally, pack some energy gels. There are energy gel stops along the way but there’s nothing like having a boost of energy when you need it the most. SIS are the run sponsors and actually the gels I use most often when exercising. I do also love their energy shots or Grenade Energy capsules. Do make sure you keep hydrated. There’s plenty bottle stops along the way of fabulous volunteers handing out water (bring back Lucozade please GNR organisers) in handy small sizes to keep you hydrated. This is a lifesaver as I can’t run with anything in my hand and especially on a warm day like the 2018 run you need to keep fluids up. It’s overwhelming at the end. This year I just burst into tears at the finish line, but you know it’s so overwhelming. I can’t describe it as anything other than that. Seeing all the messages on people’s backs. Photos of their loved ones. Doing it for fellow sufferers of currently incurable diseases it’s something that you should be totally proud of. Something that you should talk about and yes social media brag about! Regardless of your time or your journey to the finish line. You did it. You completed it. The greatest half marathon in the world. You ran with Mo Farah. You added your name to a little bit of history and you experienced a real Geordie party. My favourite annual Geordie party of the year! If you’re thinking about running a half marathon, I’d probably advise the Great North Run (but that’s because I’m proud of where I’m from) you can sign up for the GNR Reminder Service here (for an email to remind you when applications open February). Once you’ve decided you’re running you’re probably going to want to know how you can get a place to run in next year’s Great North Run? It’s simple and I’m going to show you how you can apply. The way applications work. You can apply for a ballot place which means you get your place in the run for a £50 fee (this is taken when successful), if you’re unsuccessful in a ballot place you can contact your charity of choice who will probably (more than likely) have a place, you will have to pay for these, usually a lower nominal fee than the £50 and agree to try and raise a set amount for the charity. There are plenty places though so do make sure you sign up for updates and most importantly, begin your training now!